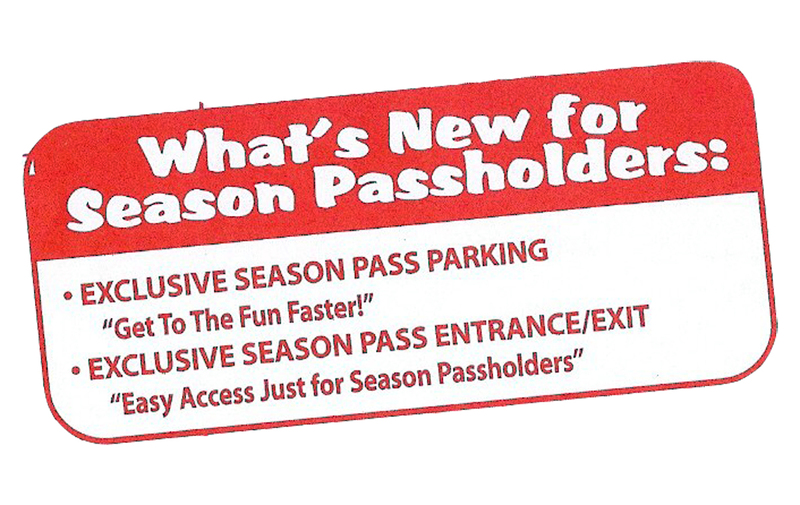 Season passes have become a big moneymaker for theme parks everywhere, with guests being enticed into visiting multiple times per season and spending money. 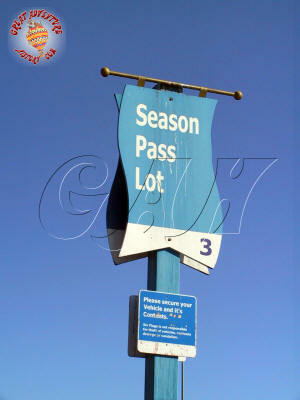 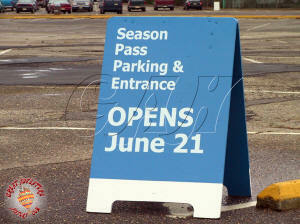 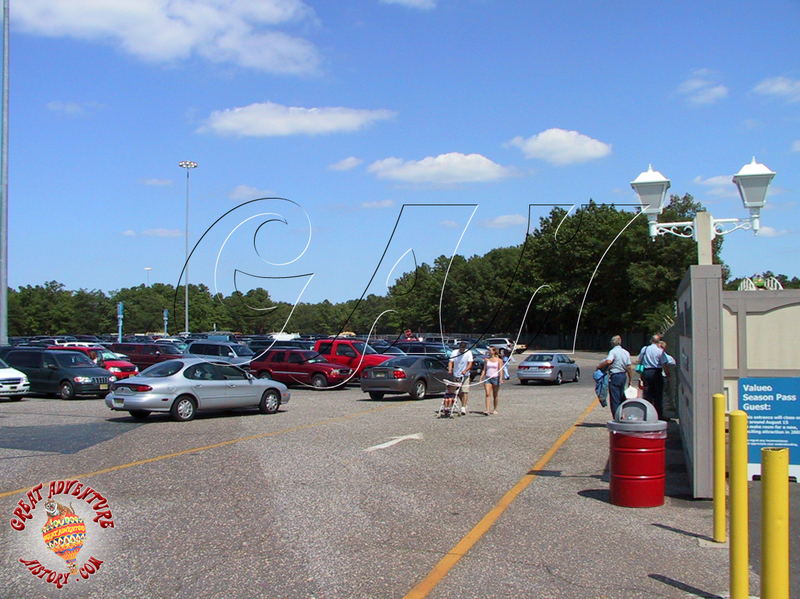 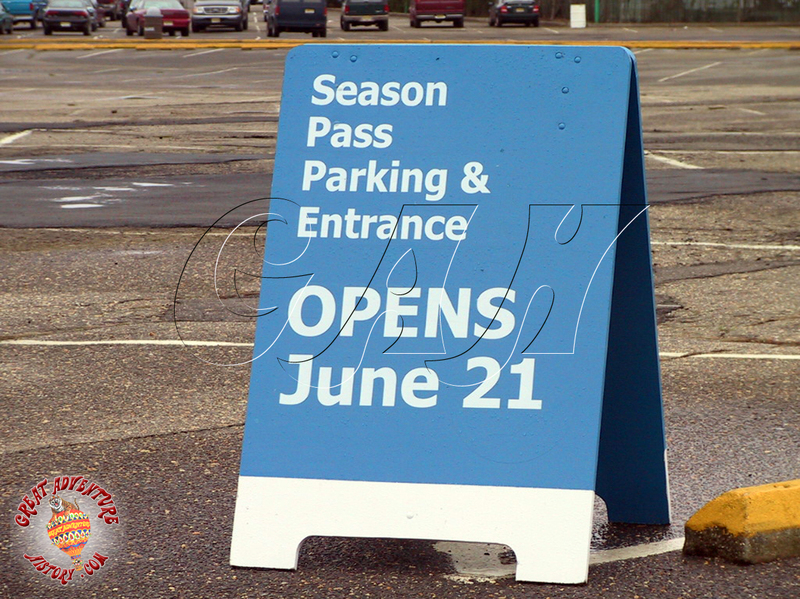 Every park offers perks to make the purchase of season passes more attractive, and creating a special season pass parking area and entrance was a unique new benefit at Great Adventure. To get more people to purchase season passes and visit the park more often, a variety of perks including discounts and other special offers has been offered over the years, but the most unique was building a special entrance and parking area just for season pass holders. 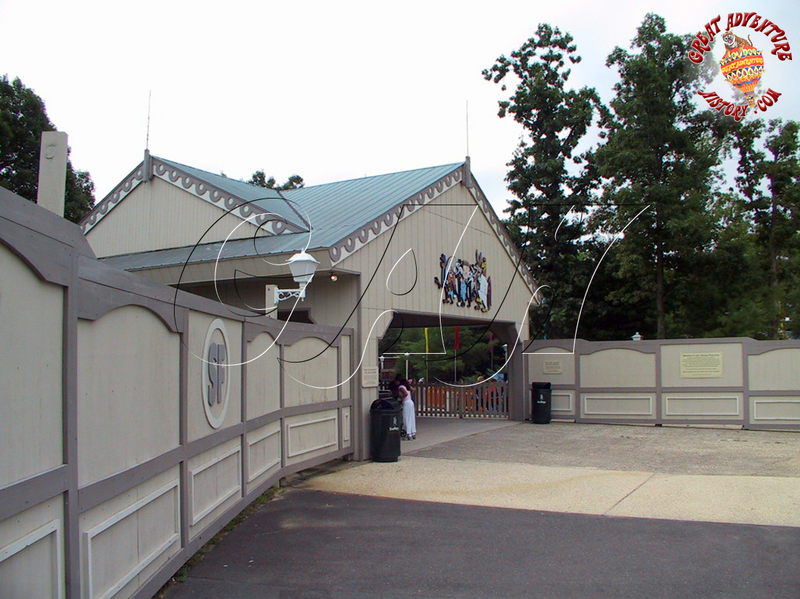 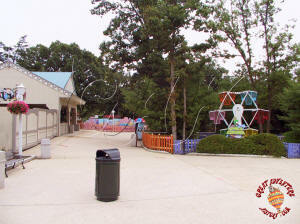 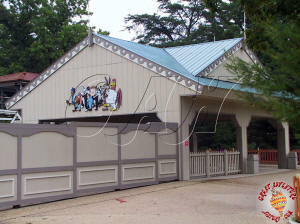 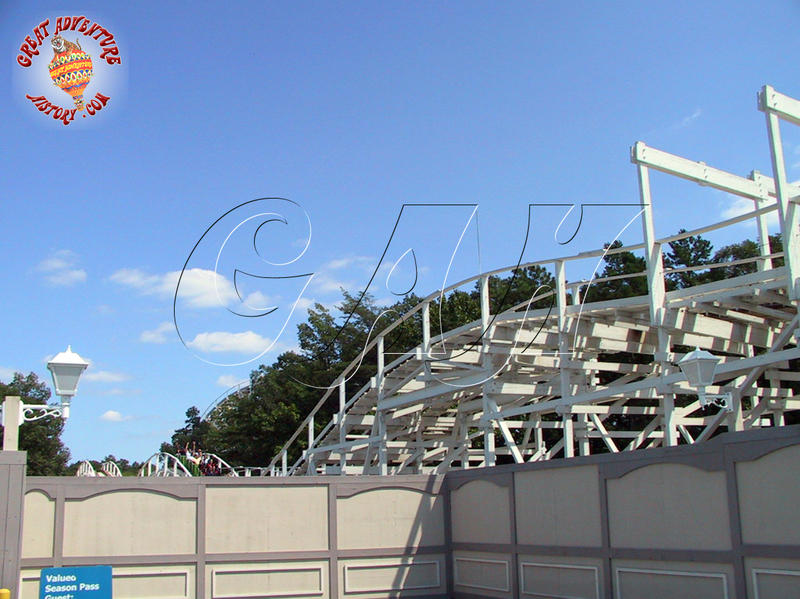 Two of the older attractions in the back section of Bugs Bunny Land were removed to make way for the new entry gate and the associated facilities for it. 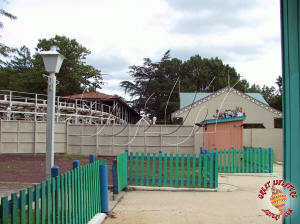 The Wile E. Coyote Wild Web climbing structure was removed completely. 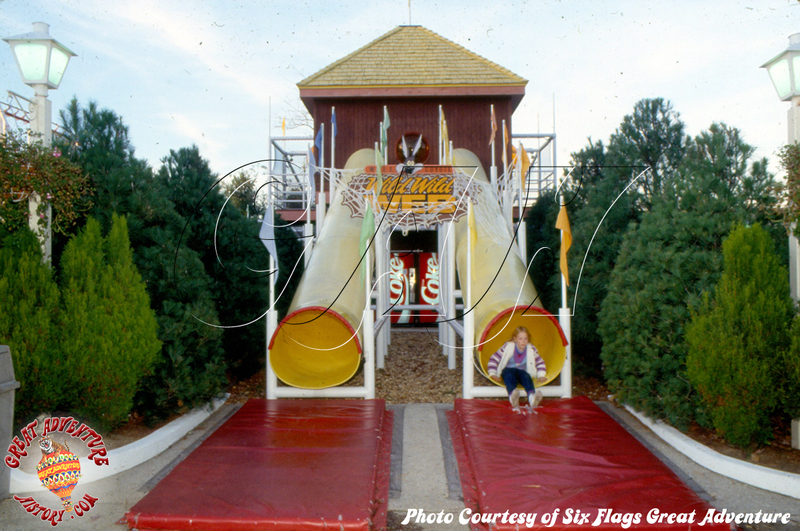 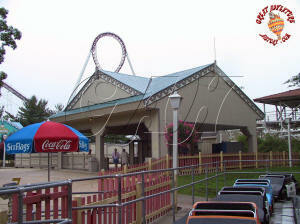 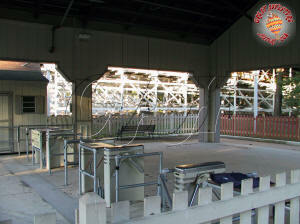 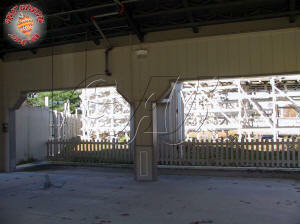 This structure was rarely open due to heat building up in the afternoons, overly hot slides and lack of staff. 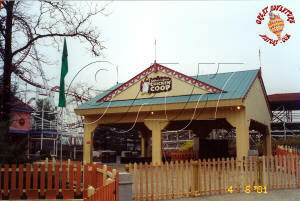 The neighboring Foghorn Leghorn Chicken Coop structure which had been an interactive ball crawl play structure lost its appeal and popularity over the years, so the removal was a minimal loss. 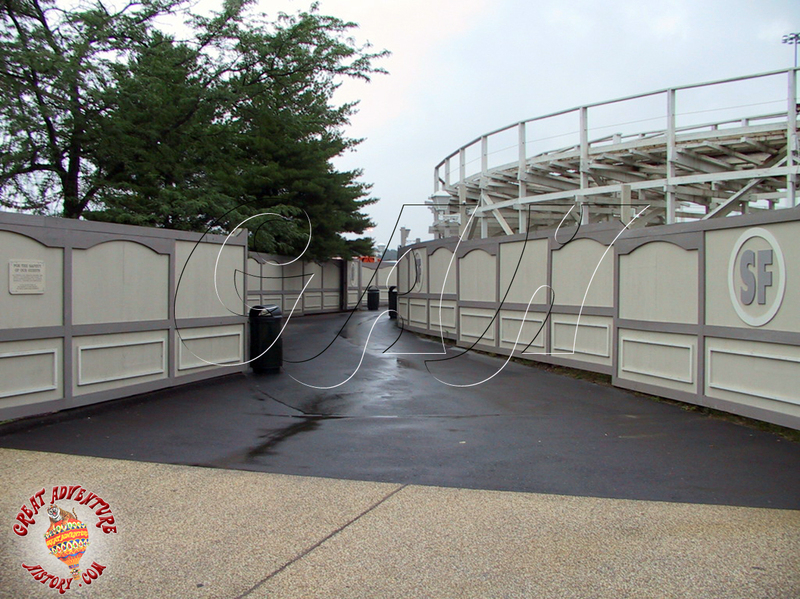 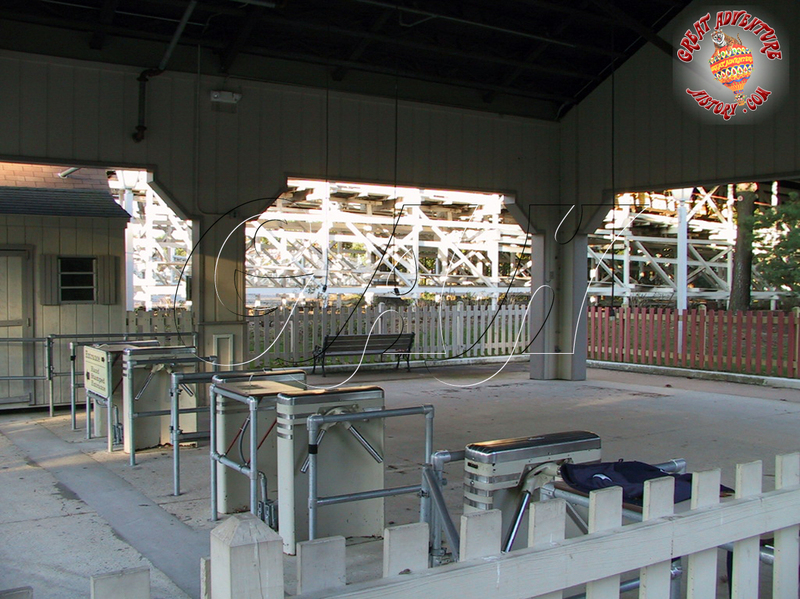 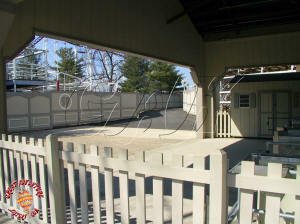 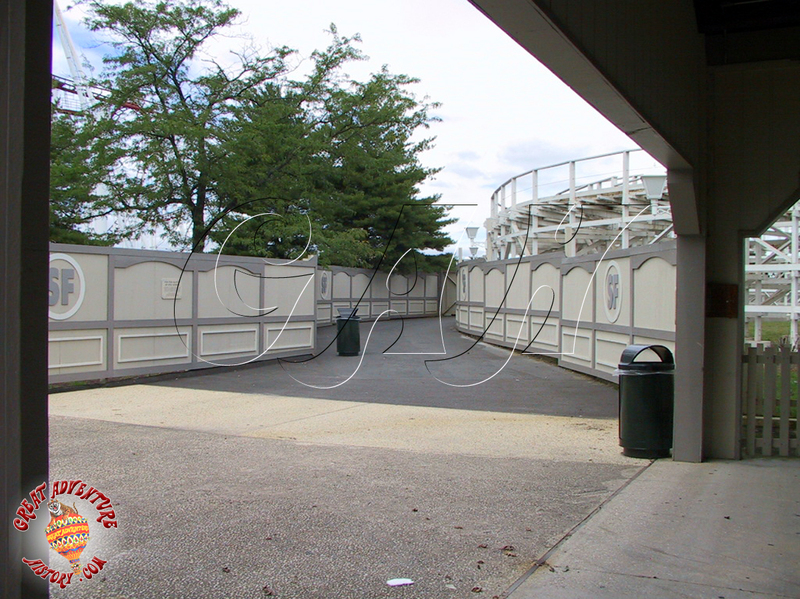 A new walkway was created along the side of the structure of Rolling Thunder connecting a rarely used section of the parking lot with Bugs Bunny Land. 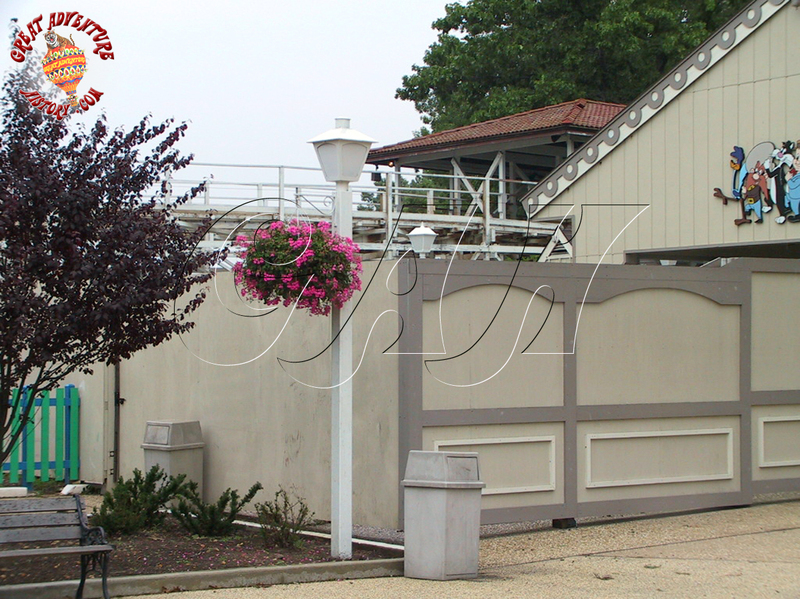 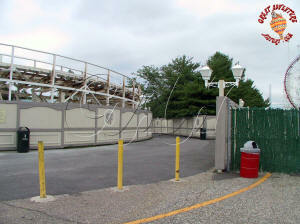 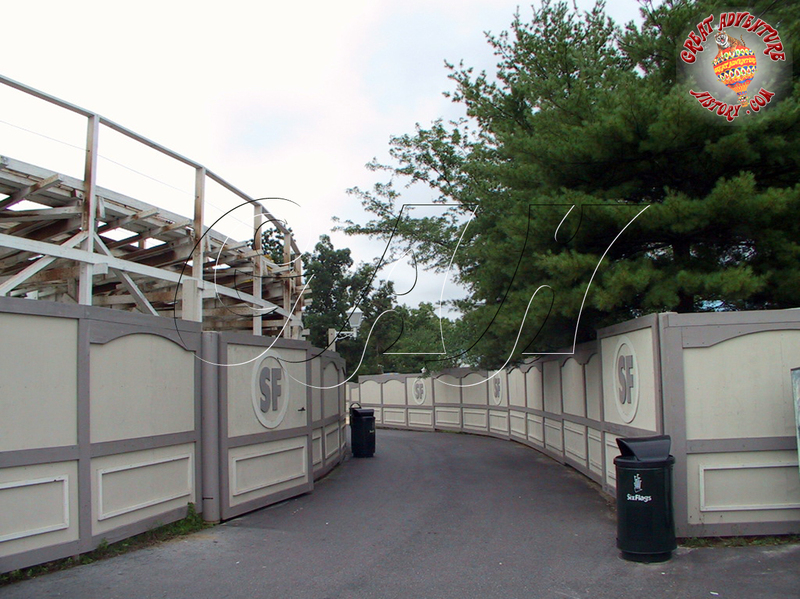 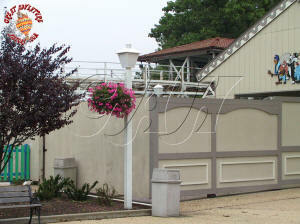 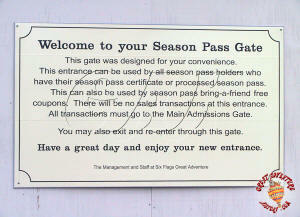 Large gates were placed at the parking lot side of the pathway, enabling the entrance to be closed when staffing was low or in the shoulder seasons. 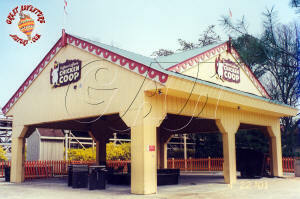 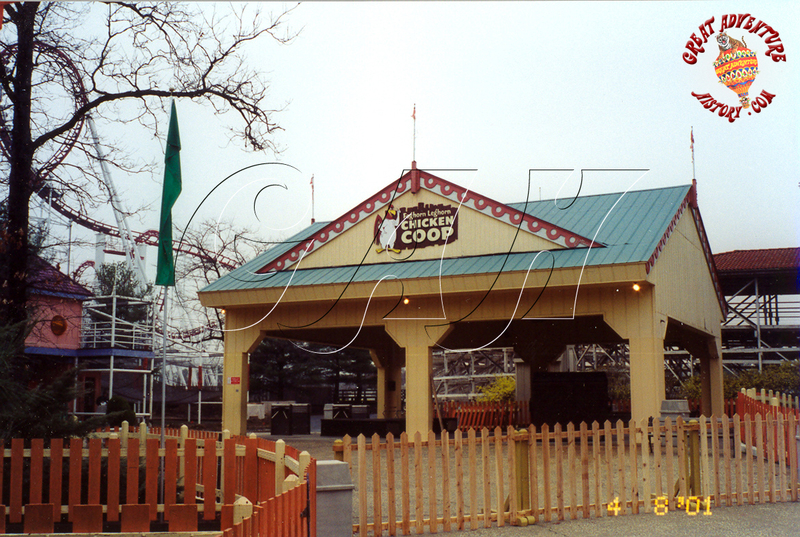 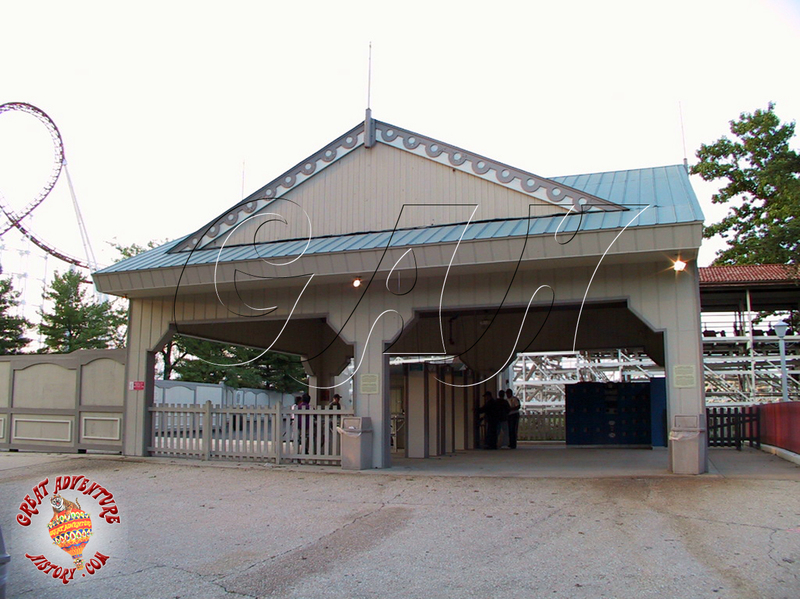 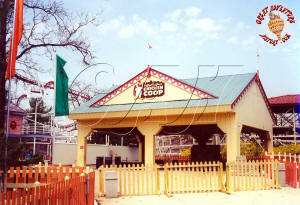 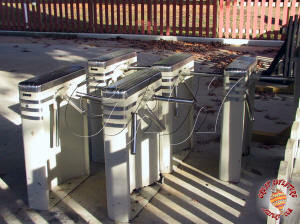 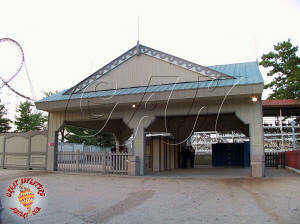 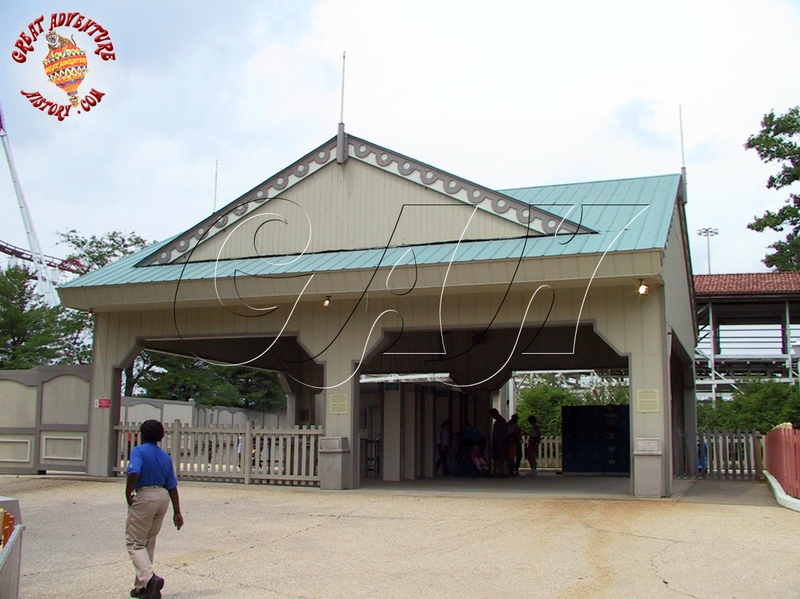 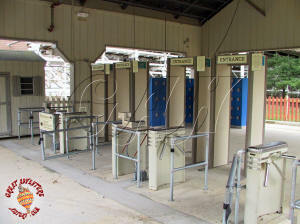 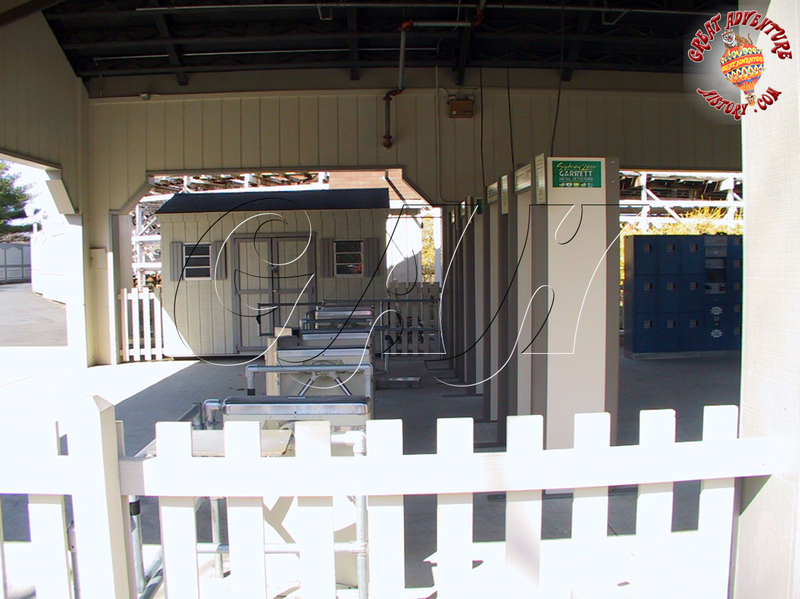 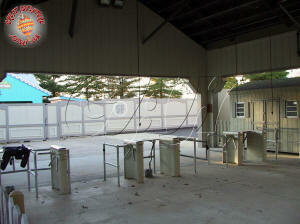 The former Chicken Coop building was repurposed to house the turnstiles and metal detectors as well as a small bank of lockers. 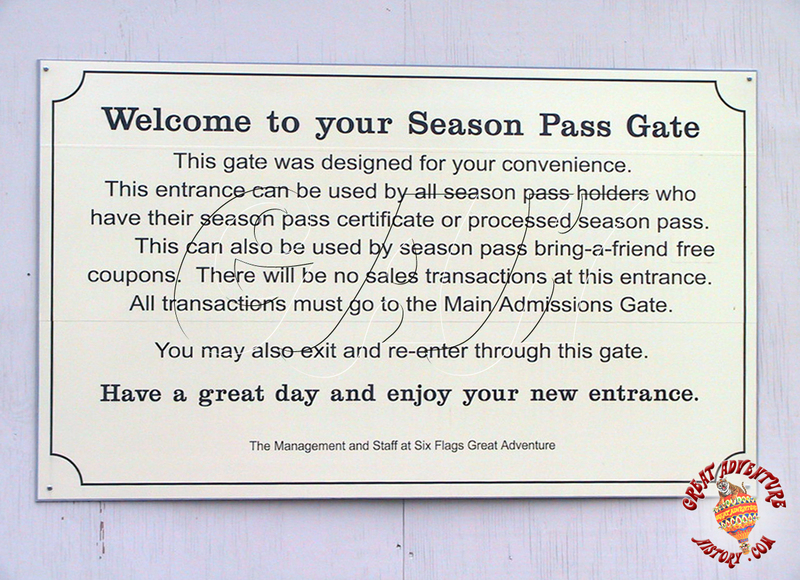 The Season Pass Entrance was popular with guests since it offered a great way to get in and out of the park and avoid the crowds of the main entrance. 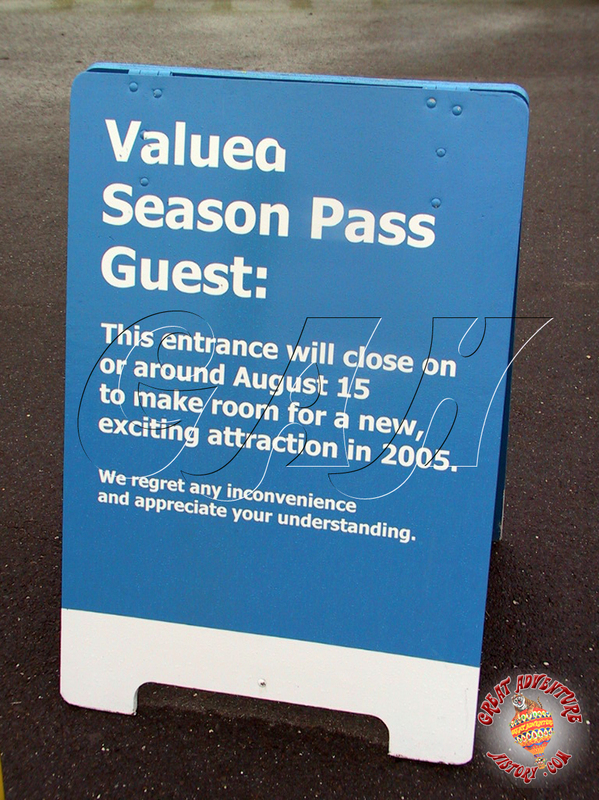 The biggest drawback was the short window of time that the gate was open during the season, only operating in June, July, and August. 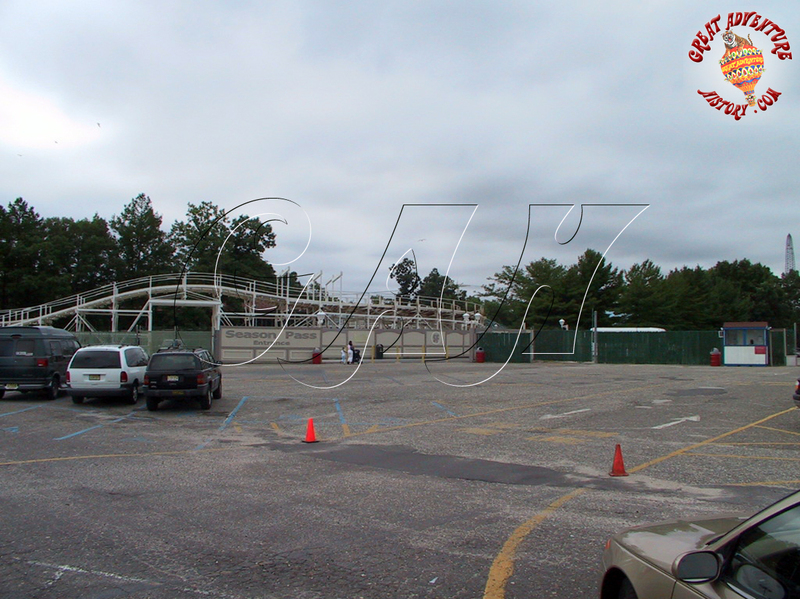 On the site of the former Sylvester Scooters, a small building was added for rentals of Fast Lane passes. 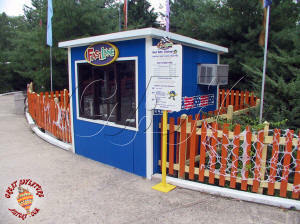 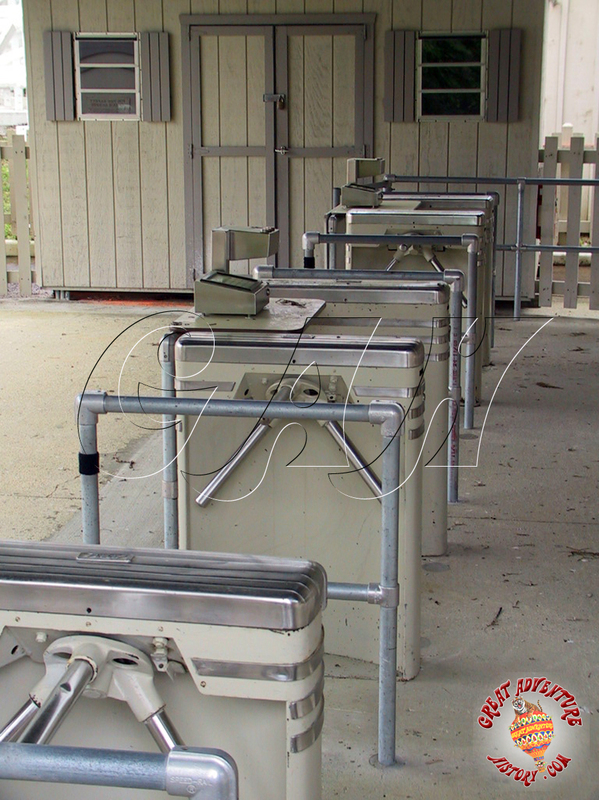 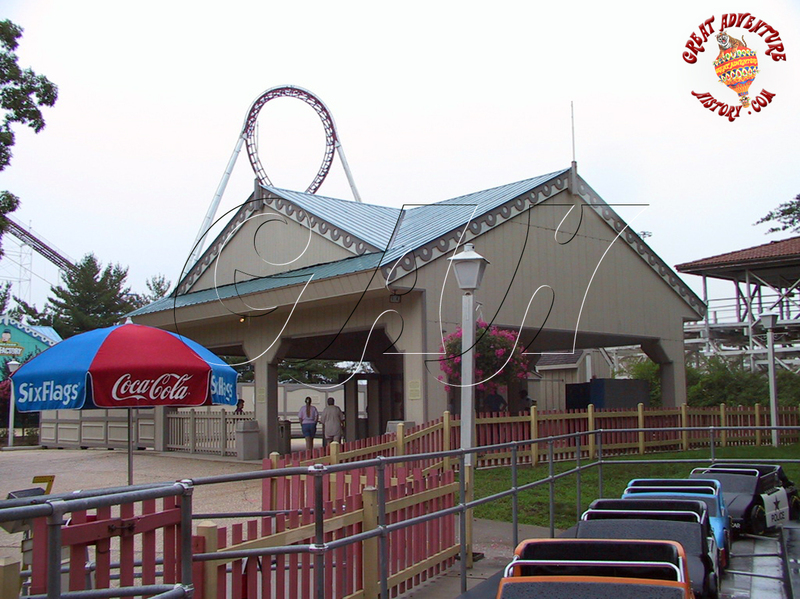 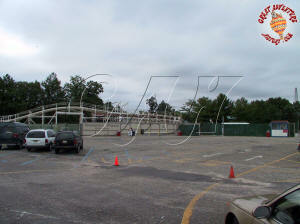 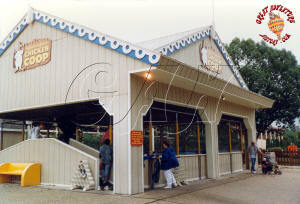 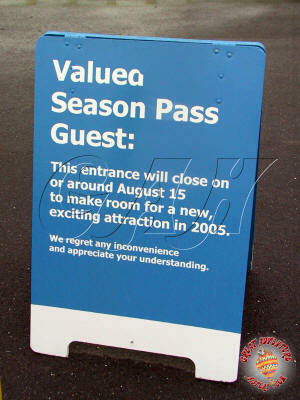 Like the Season Pass Entrance, the Fast Lane rental building was often closed due to staffing shortages and the fact that few Season Pass holders would rent the Fast Lane Q-bots anyway. 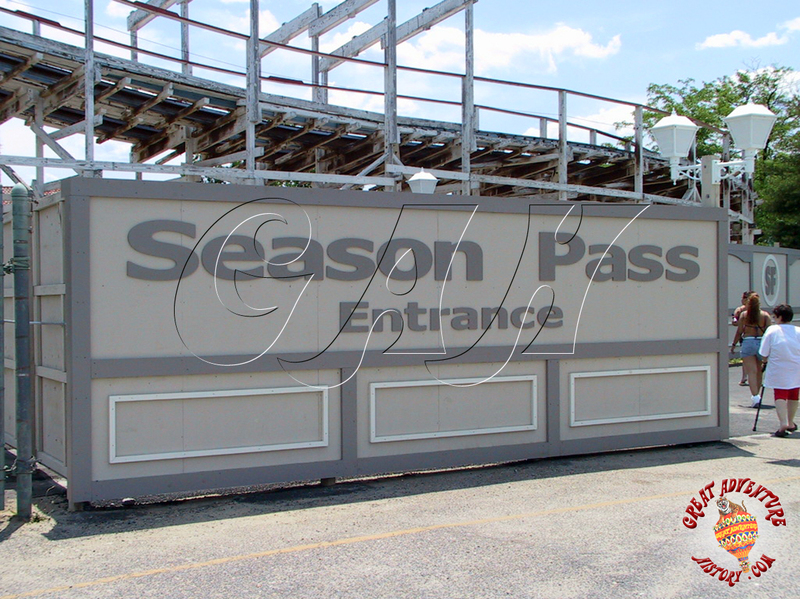 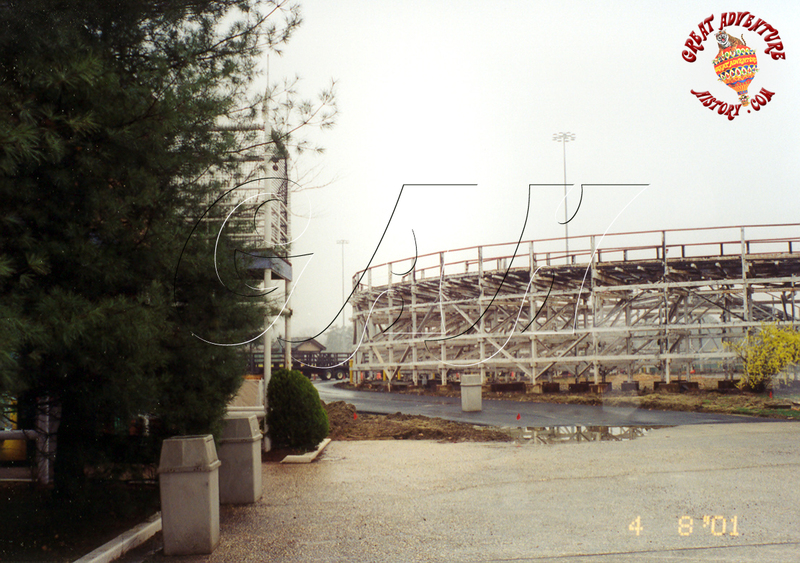 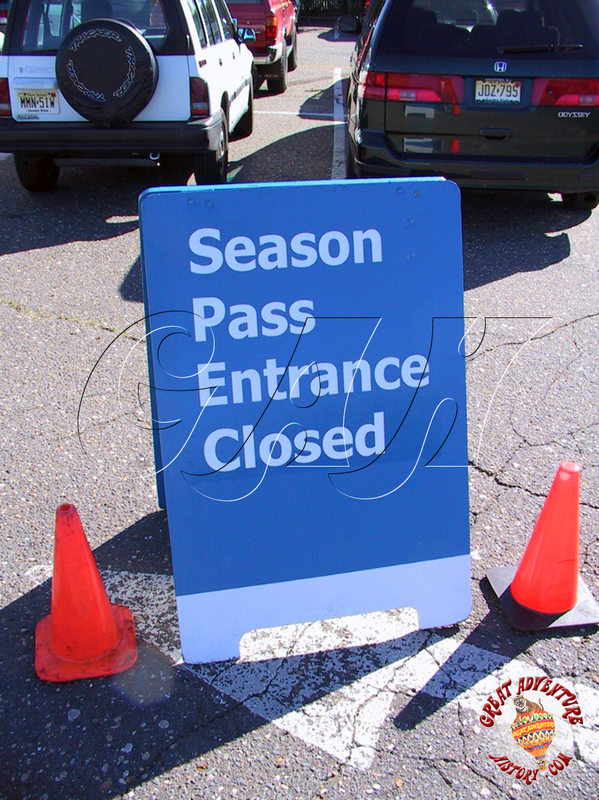 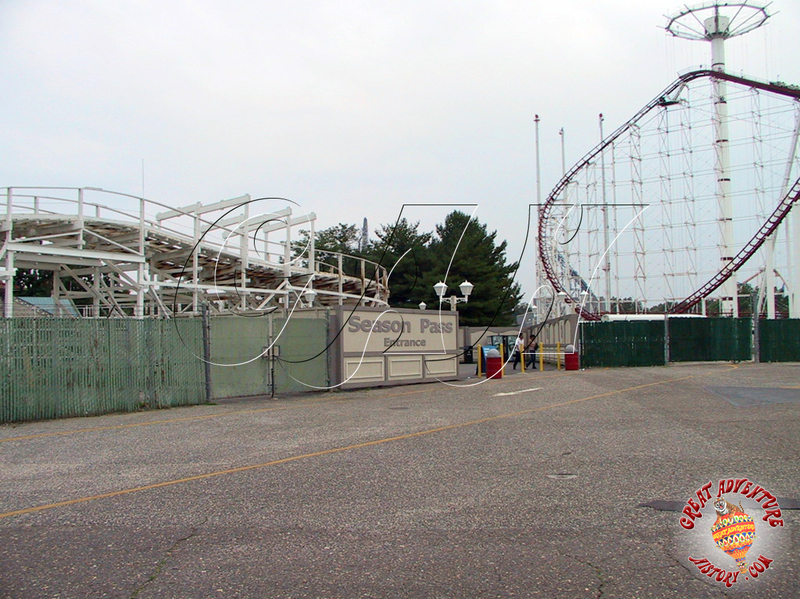 After just four seasons, the season pass entrance was closed at the end of the summer of 2004 as construction for Kingda Ka was rapidly progressing in the Season Pass parking area. 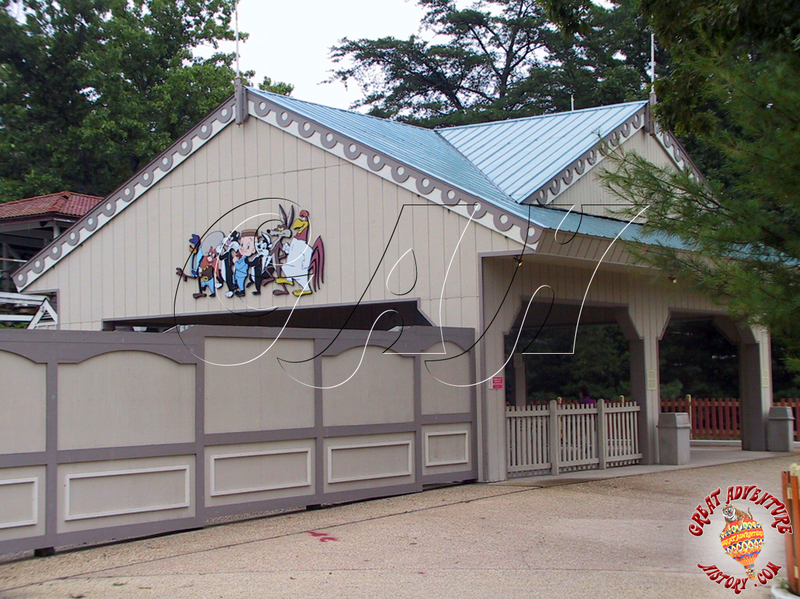 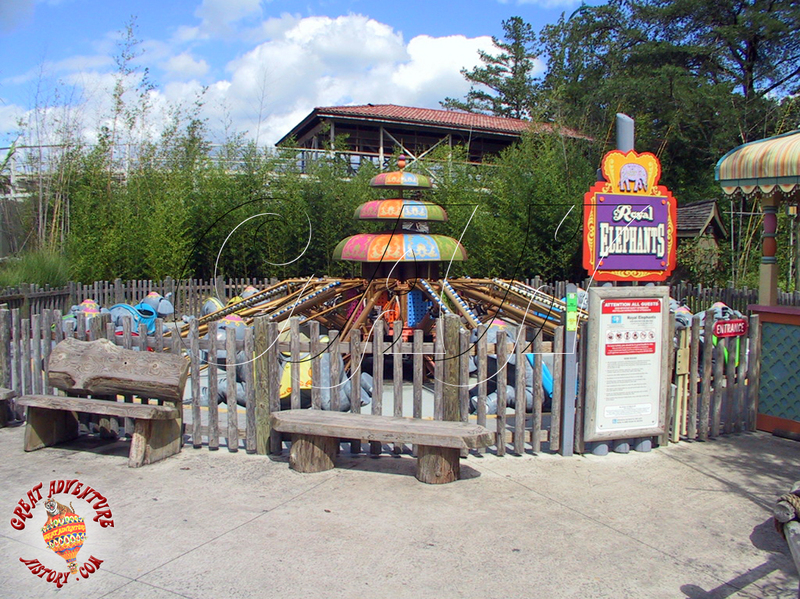 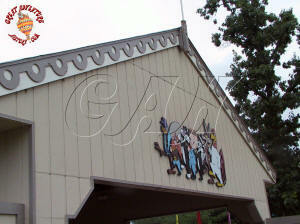 Originally Bugs Bunny Land was supposed to have closed on August 15th along with the Season Pass Entrance, but after guests outcry, it was granted a reprieve and remained open through the end of the season. 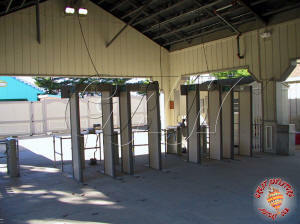 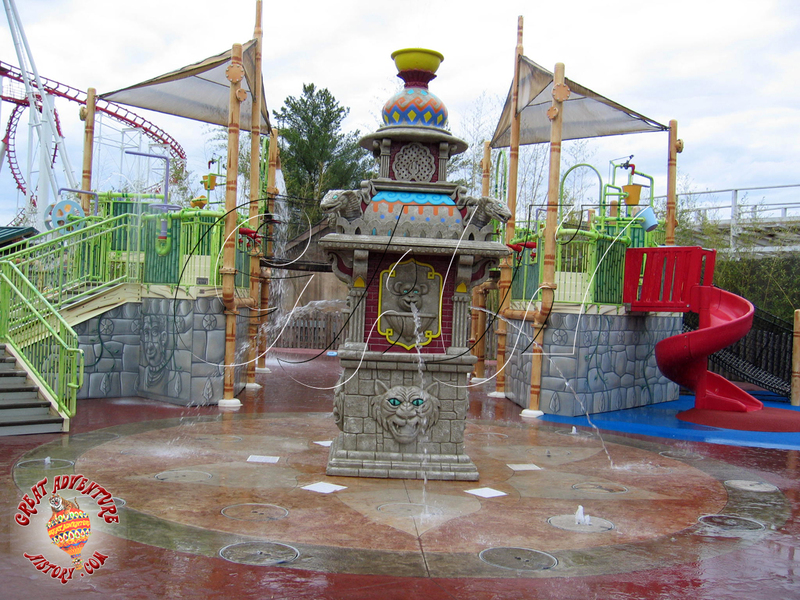 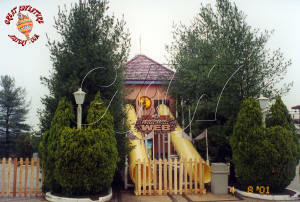 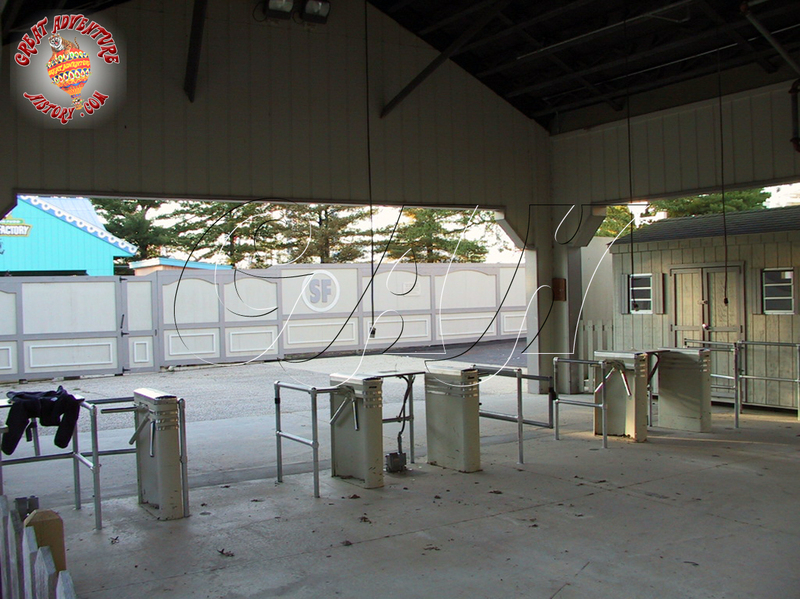 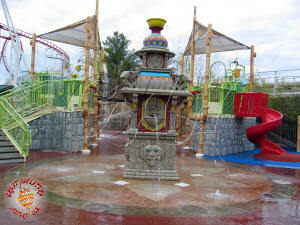 The former Season Pass Entrance was replaced with the Golden Kingdom for the 2005 season, with the Splashwater Oasis and Royal Elephants sitting on the site of the former turnstiles.